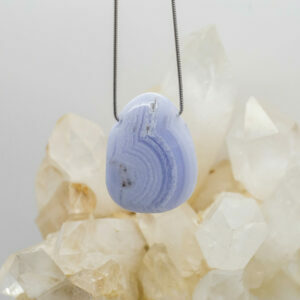 Blue Lace Agate opens and clears the Throat chakra, has a gentle, cooling and calming energy. 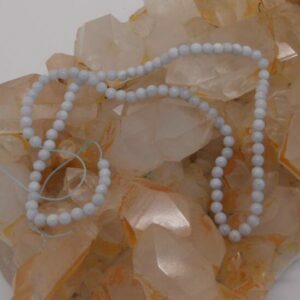 Assists with linking communication to Divine guidance and helps to eliminate self doubt and fear. 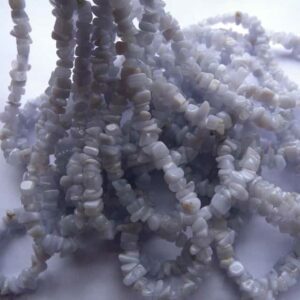 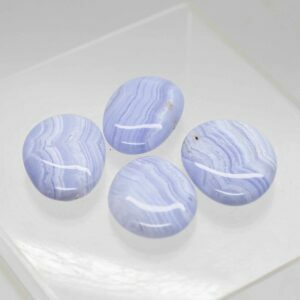 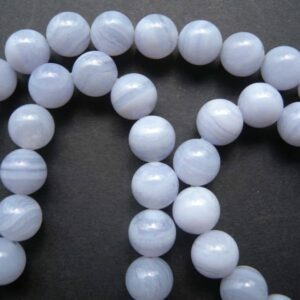 Blue Lace Agate can be of assistance to calm tension and heated communications.